STC 4021 (Apple & Biscuit) 1935-1950s One of my all time favourite mics! Through my Focusrite Twintrack the STC4021 sounds absolutely gorgeous on acoustic guitar, cello,and flute. 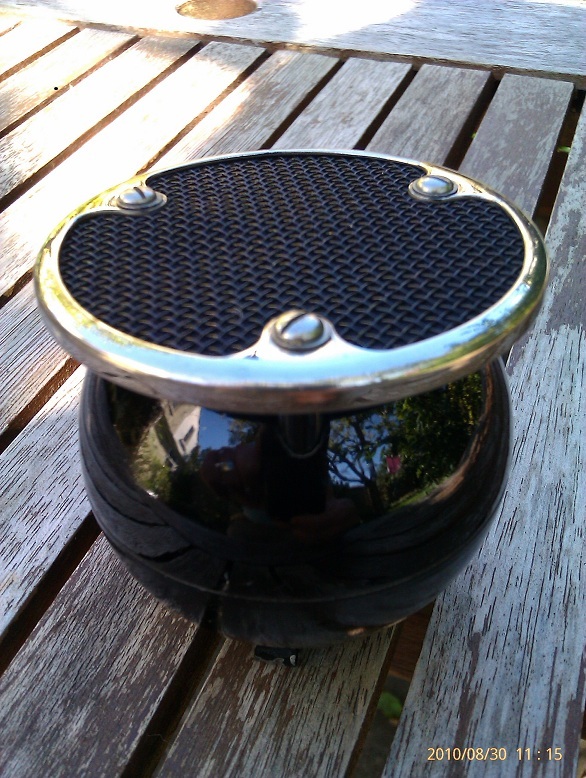 Due to its spherical shape and the properties of its ‘Romanow’ screen, the frequency response is extremely uniform from any angle (.Tech Spec STC4021 ) As a drum ambient mic (up in the air over the drummer’s right shoulder) it gives a big punchy sound with loads of bottom end weight and smooth silky cymbals.. Not what you would expect from a mic designed in 1935! Certainly begs the question ‘Has microphone design improved much in the last 75years?’ !!!!! Also, How does the ‘Biscuit’ work? In order to understand how the ‘Romanow’ screen on this microphone helps to create the truly omnidirectional response of the 4021 here below is the 1935 patent describing its function. And now……. My very first YouTube video which just happens to be about this mic! This entry was posted in BBC Microphones, STC Microphones, Vintage Brochures and Tech Specs, Vintage Microphones and tagged 1930s Microphone, Apple and Biscuit, BBC Microphones, STC Microphone, STC4021, Vintage Microphone. Bookmark the permalink. 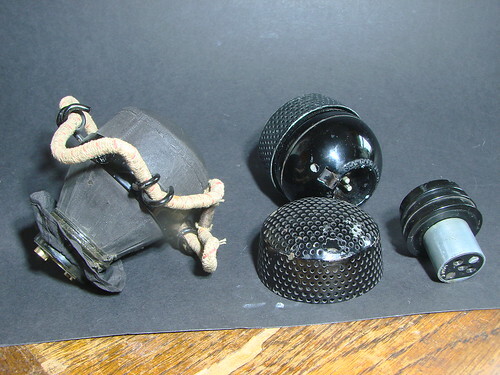 The apple and biscuit was also known within the BBC as a “thistle” in fact the numerous cables terminating in the 3 pin STC connector were known as “thistle cables” even though they were more commonly used for 4037s 4033s and 4038s. I have not seen any reference to this on the ‘net. Thanks for this comment John. Since posting my piece on the 4021 three years ago several retired BBC staff have mentioned this. It seems that the ‘thistle’ nickname was widely used, as was ‘thistle cable’ for the leads. I wondered if the different names were used in different BBC regions? Sometime soon I will produce another post including the 4021 and will make a point of mentioning this. I have one of these gems in my studio, and have used it to great effect “taming” cranky Marshal and Peavey amps when the metal-heads come to record. Thanks for your insights, I will do a semi-permanent mount by the drums for room recording during rehearsal. Been thinking a while about how to best grab the room without always having my Neumanns installed. Leevers-Rich were known in the BBC as tape recorder manufacturers, but I didn’t know they dealt with microphones. Their baffle is bigger than standard and sits on a gasket in contact with the 4021. The other 4021 has a thick baffle with a piece of cloth sandwiched between 2 gauzes and has spacers to lift it away from the front of the mic. The final picture is not strictly a baffle, it is the mounting arrangement for the 4021s in Alan Blumlein’s WW2 ‘acoustic radar’. One day I’ll try and measure the characteristics of these mics to see what the baffles actually do. Any information would be of great help, they are part of my late father’s microphone collection. He was an electro-acoustics engineer. Their modern successors Coles (who bought out the microphone business) do have some archive information about vintage STC microphones. It may be worth contacting them. Meanwhile good luck with your sale. I’ll try Coles. Thanks so much for your time and interest.